Rose doesn’t care about the name tattooed on her wrist since birth. She doesn’t care that there’s a man called Pierre somewhere out there, maybe—probably—looking for her. She just wants to live her life as she sees fit, without following the path ‘fate’ or whoever else designated for her. Besides, she’s too busy running Sanctuary, this safe-haven for people with paranormal powers, to worry about romantic entanglements and a fated mate. So when emissaries from France visit Sanctuary and one of them introduces himself as Pierre, there’s only one thing this phoenix shifter wants to do: fly away. The only question is, will Pierre allow her to flee? 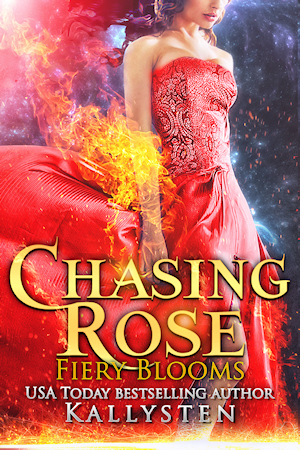 NOTE – While part of the Fiery Blooms series, this book can be read as a standalone. It can also be bought as part of the box set Fiery Blooms Volume One.